Promote a collegial and open teaching, learning, and working environment for students, faculty, and staff, in order to facilitate the foundation for sustained advancement of the University and its academic mission. Establish clear and transparent mechanisms for Faculties/Schools, Departments, programs, and academic services to benefit from innovation and initiatives in teaching and learning excellence, academic program development and renewal, and interdepartmental academic program collaboration and coordination that contribute to student recruitment and retention, enrolment, degree completion, and student experience. Establish a multi-year academic budget model and institutional information framework to facilitate integrated and effective planning of the multi-year academic curriculum, faculty recruitment, and enrolment management across the Faculties/Schools and University. 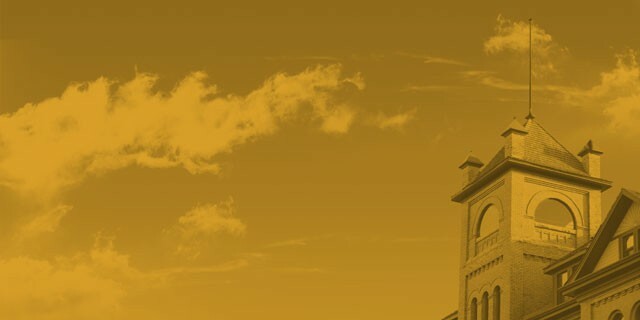 Establish an enrolment plan that reflects the effective utilization of the existing institutional facilities and capacity, and the academic mission of the University to be a leading innovative, engaged postsecondary educational institution with the institutional goal of building the partnerships needed to support infrastructure renewal and growth, including renovation of our institution’s classrooms, labs, and buildings. Recognize the importance of the John E. Robbins Library and the S.J. McKee Archives in the teaching, learning, and research missions of Brandon University, as well as their roles as resources for the wider Brandon community and surrounding rural areas. Ensure that physical and electronic collections are securely and appropriately funded, in order to support the priorities of the Academic Plan and to enable the library to maintain currency with trends in scholarship. Continue to develop physical and virtual spaces that provide environments supportive of study, learning, research, and creativity.